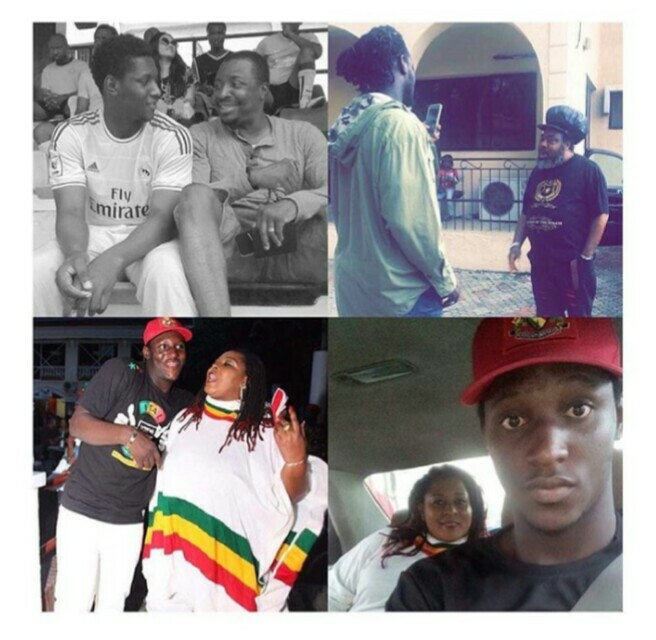 Onome Akpobome, the son of comedian Alibaba and the stepson of the late reggae maestro, Ras Kimono, has revealed details of the incident that led to the death of his mother. Onome, is the son of Ras Kimono’s wife, Efemena, who had him for Alibaba before she got married to the singer. Narrating the incident, he said: "On Saturday, we went to the beach for my uncle’s birthday. Nothing went wrong until about 2am, when she woke us up to change over because PHCN had brought the light. She then went upstairs and started complaining of chest pain. At this point, she started breathing awkwardly. Her elder sister, who is a nurse attended to her and gave her first aid, but her breathing was still laboured so we decided to take her to the hospital. First, we went to Blue Cross Hospital at Ogba, but the staff we saw were unresponsive. I was shocked to see their unconcerned countenance. When we saw that they were not ready to help us, we left and drove to County Hospital. A doctor saw her there, checked her pulse and said she was still breathing but that they had no facilities to treat her. So he referred us to Lagos University Teaching Hospital in Ikeja. When we got to the hospital at about 4am, they also wasted our time for over 40 minutes and by the time they were ready to treat her, she had stopped breathing. . The pain is worse for me because none of the three hospitals treated the case as an emergency. In fact, I have given up on Nigeria because they all had up to three hours to save my mum. How can over three hospitals in Lagos not have the right facility to treat breathing problems? None of them even had a stretcher, I am just totally done with this country."